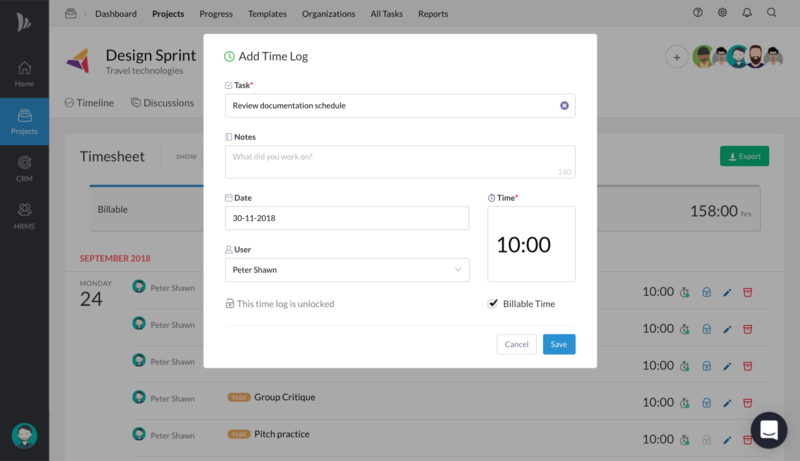 Logging Time for the work you have done in a Project will track the amount of time your team spent working on a project as well as on each task. If you approach it right, it will become a very effective tool to manage and track time. 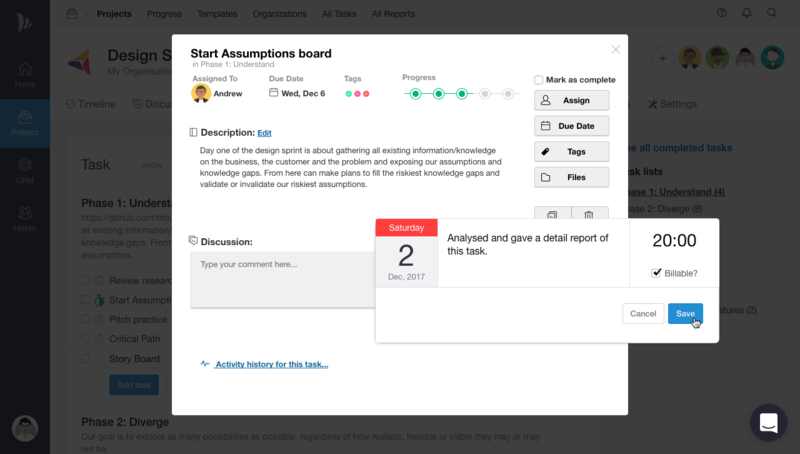 TeamWave also provides reports on the logged time by your team in the Reports section of a project. 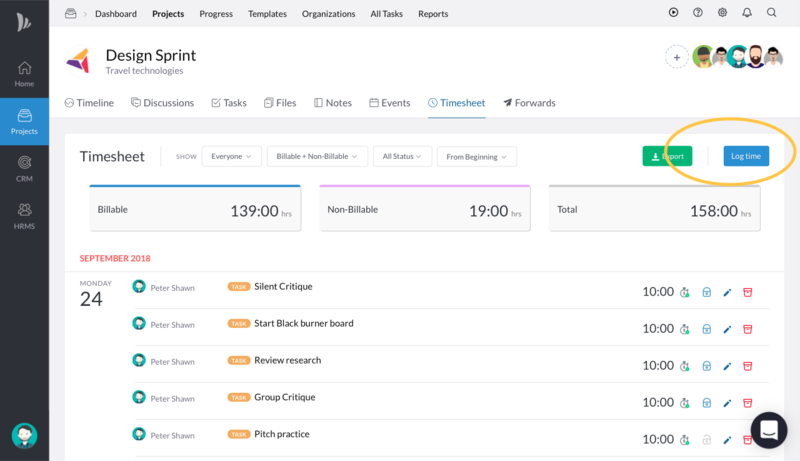 You can log the Time you spent on a task either from the task detail page or from the Time logs tab in a Project. Navigate to Project Management application. Click on Tasks in the navigation bar. Click on a task to open task detail pop-up. You can see the details of the time logged from Time logs section. Learn how to check details of time logs. 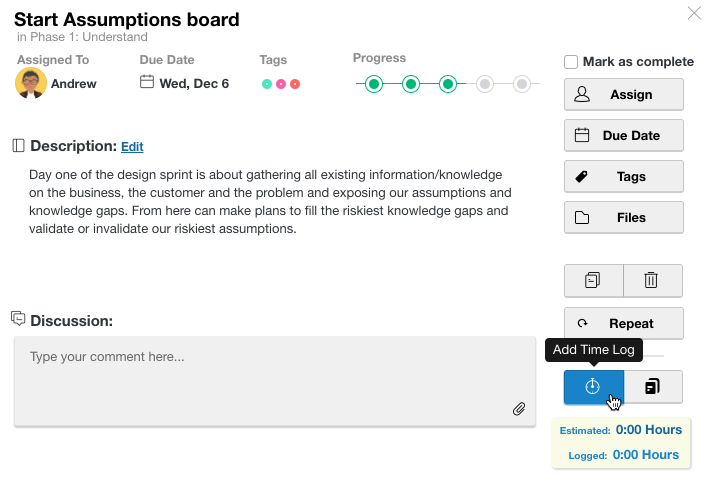 Everyone in the project can view the logged time for a project from Time logs.